Welcome 2015! On New Year’s Eve, I took a break from my near constant holiday partying to reflect on California ReLeaf’s year. We started 2014 with the resignation of Joe Liszewski, our executive director. And we knew that long-time manager of budgets and finance, Kathleen Farren, would be leaving in July. That’s 50% staff turnover! We were fortunate to have Amelia Oliver step-up and in as interim Executive Director while we searched for a new one. And of course, the search took longer than we planned. But the result was awesome and Cindy Blain joined California ReLeaf in October. Amelia found a way to bridge the period between Kathleen’s departure and the arrival of a new staff member. Who turned out to be Amelia! While all of this was occurring in the office, a revolution was taking place in the halls of state government. 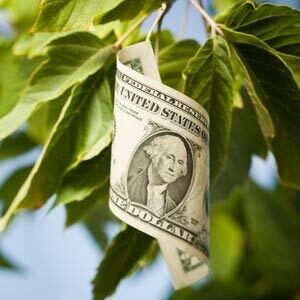 Funding for urban forestry programs went from near zero to higher than anyone might have imagined. All of a sudden the message about the value of urban forests was being heard! I can’t thank Amelia, Chuck, Ashley and Kathleen enough for their commitment and efforts on California ReLeaf’s behalf. They and the Board of Directors deserve to rest on their laurels for a while. But I don’t think resting is what Cindy has in mind. I’m buckling my seatbelt, because 2015 may be a wild ride. 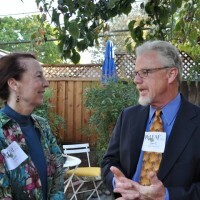 Jim Clark is the Board President of California ReLeaf, Vice President of HortScience, Inc. and an internationally renowned arborist.